After a Machu Picchu-y ITT in the mountains of Cusco and a disorientation to remember in the desert oasis of Huacachina, the group is now back home. Mikel and I are back in Lima, reflecting and enjoying this lovely country which we too will leave very soon. Sitting here in the hostel to write the final blog I’m left wondering, how does one even begin to process an experience like this? Where do you begin? 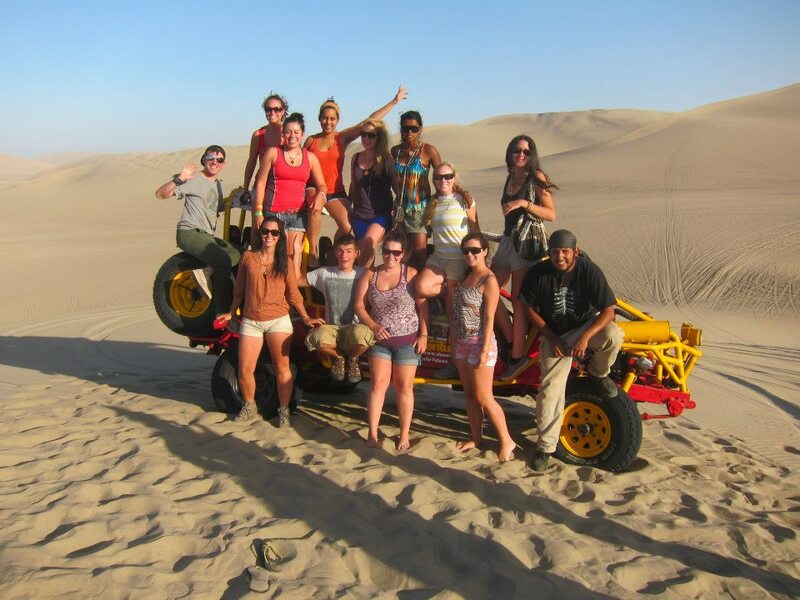 Last weekend we reunited as a group in Huacachina for some sandboarding, dune buggeying and a bit of dancing. It was a chance to debrief on our experience here, what we will all take away, and how we will keep in contact in the future. 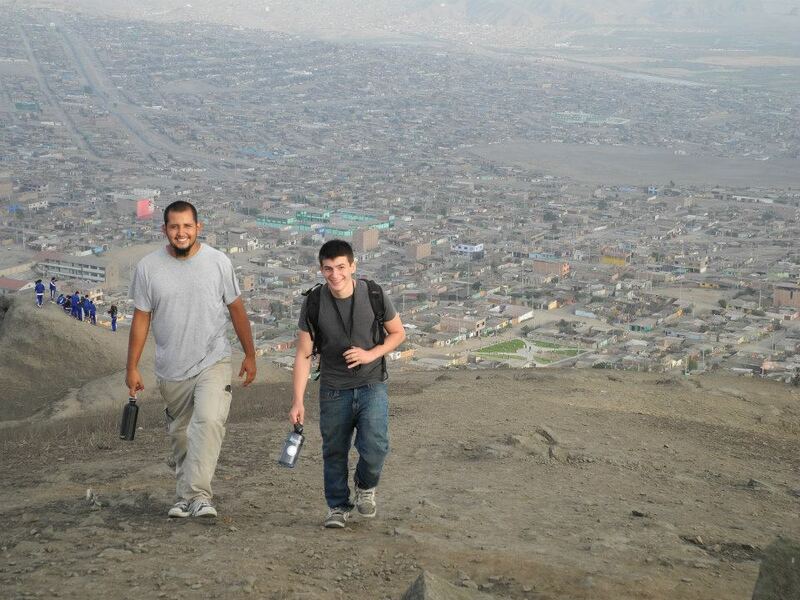 After going back through our trip we realized how much we had actually done in only six weeks here in Peru. We talked about the huge range of people and places we had seen, places we didn’t even know existed. From the coast, to the jungle, to the mountains, the change is clearly evident. But even within the Amazon we were able to visit places that seemed as though they were a world away from each other. Like the contrast we saw in Lima from the westernized Miraflores district to the shantytown of Pachacutec, the barrio of Pampachica was far different from the bustling jungle city of Iquitos. We lived in the centre, but we really LIVED when we were with our friends on the outskirts, carrying sandbags along the streets of Villa Primero de Mayo. 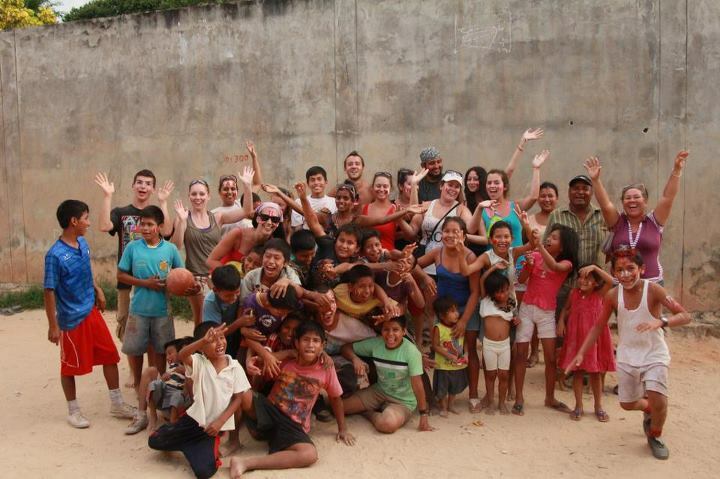 Then there was the striking difference between this city slum and the sleepy jungle town of Meliton Carbajal. The time is more relaxed, the people working in their chakras, their farms, fishing and harvesting sugar cane to provide for their community. Finally, the community of El Chino. They have worked for 30 years in what Meliton has just begun; building a successful community using environmentally sustainable practices and capitalizing on their artesania and eco tourism opportunities. It was incredible to see so many different communities and we all feel truly lucky to have the better understanding of all of them. In each place when we stepped off the boat, bus or moto taxi, we were greeted with open arms. We leave knowing that we have friends all across this wonderful country. 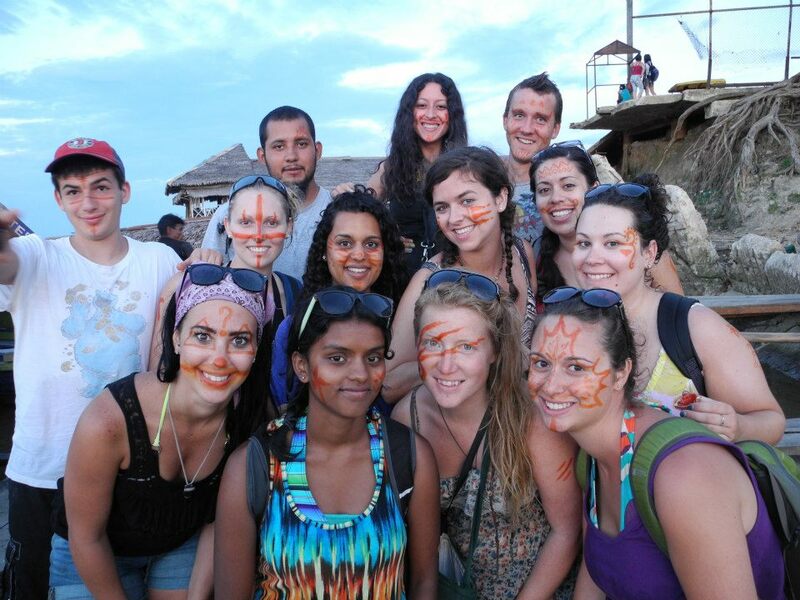 And after helping start and accomplish some incredible projects, no doubt we leave a lasting memory. Now there have been good times and hard times, and I definitely won’t miss all the rice. But there are definitely some things I miss already. Like aguaje. I know I will miss fresh avocado. I’ll miss the motos. I’ll miss the heat! I’ll miss sand down the back of my shirt whilst carrying a sandbag down the street in Pampachica, or across the field in the village of Meliton. I’ll miss Begonia. Fresh fruit ice cream. Sugar soup? Waking up in our pod-like mosquito nets to Janelle’s “Eeeeeee Morning!! !” Jokes that go on FAR longer than they should. Bathing in the river each day. Scrambling around with my headlamp at night in the community centre, trying not to step on people. Cheesy Huancaina sauce. That refreshing morning moto taxi ride to Pampachica. I’ll miss the greetings from everyone in Villa Primero de Mayo, the “Hello’s” from all the kids at the English corner of the street. The lovely people in Meliton who thought we (and our dance moves) were so strange but accepted us anyway. I will miss the kissy noises. Holinda, Carlos, Manuel, Noel, Robin, Carl! Our Peruvian counterparts, Mayantu. The beautifully ugly street dogs. Our jungle dog. I’ll miss the nine terrible dance songs Peru plays over and over. The taste of that cold soda after working hard in the sun all day. Sublime. Slothy Jo. I’ll miss walking around in our rubber boot crew. All of the people so loving and genuine and friendly. Our Peruvian family. I’ll miss stool chart talks. Jungle juice. The feeling of clay squishing between my toes in the riverbed. All things good and bad, all things Peru. All of this but, after 43 days together, and only 2 so far apart, I miss our crew the most! Back to Canada, the United States and France. 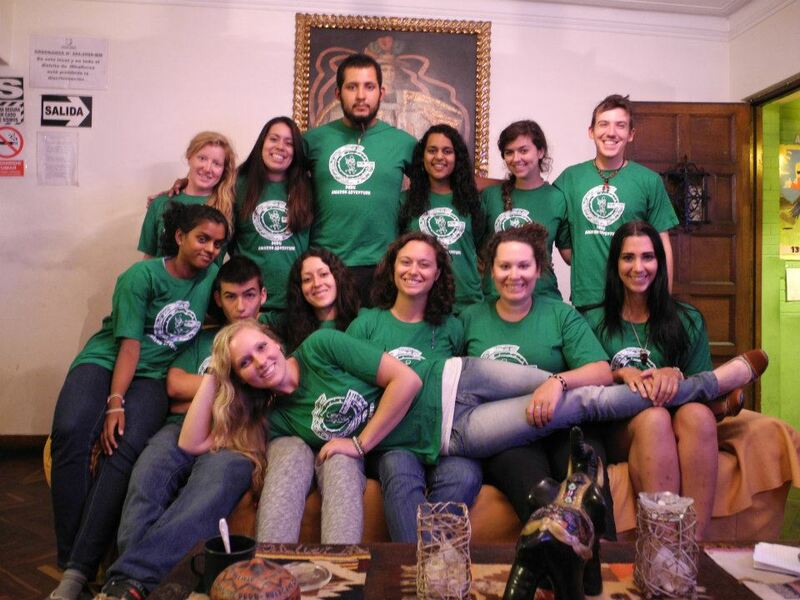 Everyone back to life back home, without forgetting the amazing experience we had together. Remembering everything we shared together in the past six weeks. One last family photo in Lima!